The egg cracker device is for people with a disability of some sort . And for people who find it difficult to crack eggs. There are 57.6 million people in the US with a disability of some sort. The egg cracker will hold and crack the egg for the pan. 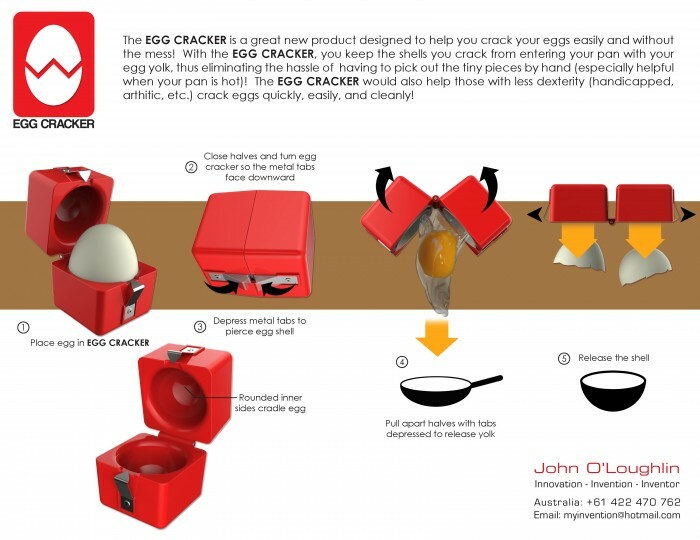 The egg cracker will help separate the eggs for cooking. The egg cracker will hold and open a hot boiled egg. Existing technologies , very limited . Page created at 2019-04-21 5:09:47, Patent Auction Time.